being met; prior visits would only be permissible with the agreement of the parent or guardian as an alternative to providing additional information about the place of instruction. 1989 Op Atty Gen, No 89-22, p. 60.] SC ST SEC 59-65-47 homeschools do not have to allow or provide any public official any information about their homeschool without a legal court order. 3rd Option Home School Law: Associations for home schools; requirements. Not required for home schools operating under South Carolina Code of law �59-65-47. SC ST SEC �59-65-47 exempts the home school from the further requirements of Section 59-65-40 or Section 59-65-45.
. SC ST SEC �59-65-47 exempts the home school from the further requirements of Section 59-65-40 or Section 59-65-45. (3) a semiannual progress report including attendance records and individualized documentation of the student's academic progress in each of the basic instructional areas specified in item (c) above. By January thirtieth of each year, all associations shall report the number and grade level of children home schooled through the association to the children's respective school districts. (You do NOT have to or need to provide any school district with any paperwork from your home school association.) SC ST SEC �59-65-47 exempts the home school from the further requirements of Section 59-65-40 or Section 59-65-45. "Each parent, whether the custodial or non custodial parent of the child, has equal access and the same right to obtain "all educational records and medical records of their minor children" and the right to participate in their children's school activities unless prohibited by order of the court. Q. Do home schools have to obtain immunizations? schools to receive a Certificate of Immunization from students prior to admittance. Students do not enroll in or attend a home school association but are enrolled in and attend their family�s home school. It is also noteworthy that local school districts in South Carolina do not include home schooling families in their immunization reports to DHEC. Under Section 59-65-40 of the Code, these families obtain the approval of the local district for their home schooling program. But these students are not enrolled in or admitted to the public school and therefore do not present a Certificate of Immunization to the school. There are also practical considerations for not including home schools in the immunization reporting requirements. Communicable diseases are typically transmitted in a classroom or playground setting when students from different families come into contact with each other. Since only family members are present in the home school, the same potential for transmission of these diseases does not exist. 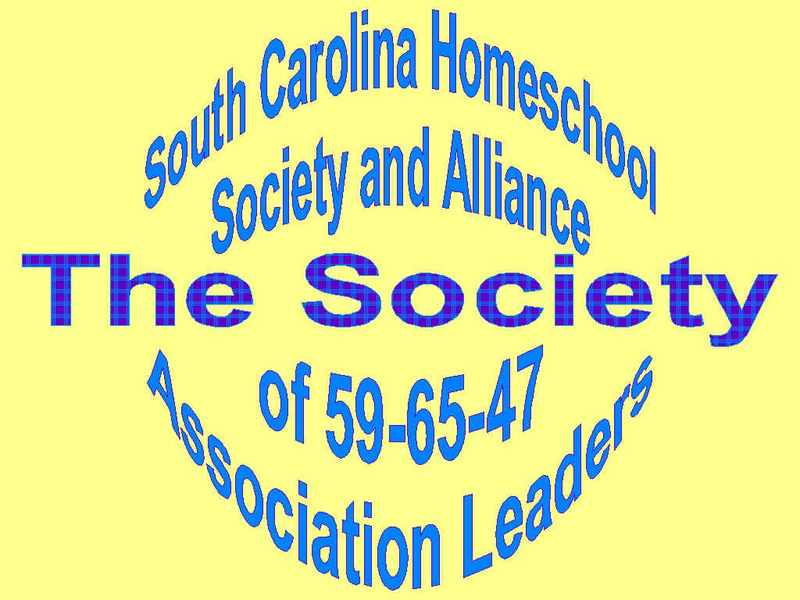 State law requires Section 59-65-45 and Section 59-65-47 of the Code of Laws of South Carolina home school associations to report the number and grade level of children home schooled through their associations to the children�s respective school districts by January 30 of each year. Beyond this, there are no requirements for any home school association to disclose additional information about its member families. Home schooling of foster child. Note: Foster parents may home school a foster child. All children five years of age before September first until the child or ward attains his seventeenth birthday or graduates from high school are required to attend public, private, or home school. EXCEPTION: A parent or guardian whose child or ward is not six years of age on or before the first day of September of a particular school year may elect for their child or ward not to attend kindergarten. For this purpose, the parent or guardian shall sign a written document making the election with the governing body of the school district in which the parent or guardian resides. However, if a parent or guardian whose child or ward is not six years of age on or before the first day of September of a particular school year elects for their child or ward to legally home school for kindergarten, the parent or guardian DOES NOT need to notify any school district and DOES NOT need to sign any written document with the governing body of the school district in which the parent or guardian resides. (A) All parents or guardians shall cause their children or wards to attend regularly a public or private school or kindergarten of this State which has been approved by the State Board of Education or a member school of the South Carolina Independent Schools' Association or some similar organization, or a parochial, denominational, or church-related school, or other programs which have been approved by the State Board of Education from the school year in which the child or ward is five years of age before September first until the child or ward attains his seventeenth birthday or graduates from high school. A parent or guardian whose child or ward is not six years of age on or before the first day of September of a particular school year may elect for their child or ward not to attend kindergarten. For this purpose, the parent or guardian shall sign a written document making the election with the governing body of the school district in which the parent or guardian resides. The form of this written document must be prescribed by regulation of the Department of Education. Upon the written election being executed, that child or ward may not be required to attend kindergarten. Any parent or guardian who neglects to enroll his child or ward or refuses to make such child or ward attend school shall, upon conviction, be fined not more than fifty dollars or be imprisoned not more than thirty days; each day's absence shall constitute a separate offense; provided, the court may in its discretion suspend the sentence of anyone convicted of the provisions of this article. (e) A student who has a child and who is granted a temporary waiver from attendance by the district's attendance supervisor or his designee. The district attendance supervisor may grant a temporary waiver only if he determines that suitable day care is unavailable. The student must consult with the district supervisor or his designee in a timely manner to consider all available day care options or the district shall consider the student to be in violation of this chapter. Copyright � 2000 - 2005 New Beginnings Home School Association - New Beginnings HSA and NBHSA of SC are trademarks of [New Beginnings Home School Association�]. All rights reserved. All other products mentioned are registered trademarks or trademarks of their respective companies.